I’ll spare all the details how I tasted boiled snails for the first time and how I went swimming naked at night after drinking litres of Sangria and how I locked myself out of my flat next day and suffered the worst hang over ever. Here are the highlights you should have on your list in case yo plan a day trip from Barcelona. This 12th century cathedral is a perfect example of the transition from Romanesque to Gothic architecture. Another speciality about Tarragona’s cathedral is that it was built on the site of a mosque from 10th century. The huge round window in the front, the stairs, the entrance, everything about this cathedral is pretty impressive. In this magical beautiful square you can see some remains of Romans administrational and political buildings, such as the portico in the buildings of the “Antiga Audiència“, or the Old Court of Justice, in Plaça del Pallol, in Plaça del Forum and in the Praetorium. I guess it is the best location one can imagine of to locate an Amphitheatre! On a hillside overlooking the Mediterranean Sea! I quickly blend out the thoughts that here once gladiators and wild animals had to fight brutally to survive and killed each other for amusement of others. I rather focus on the brilliant architecture dating back 2nd century. For admission fee and opening hours check the official website. Antonio, one of the great people I got to know in Tarragona, was super friendly and offered to drive me to this ancient aqueduct which is 4 km north of Tarragona. The Roman Emperor built it and the Moorish Reign restored it. Even only a few hundred meters of originally 25 km long structure has been remained, it is a great site to soak a bit of Roman architecture and history. Not only houses have balconies. Yes, also a whole city can have a balcony to enjoy the most beautiful views of the beach. 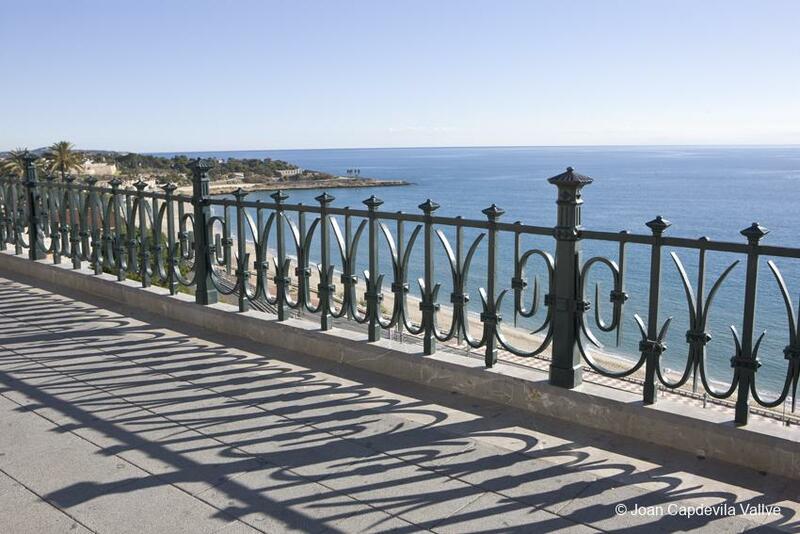 To get to this beautiful terrace, 40 meters above the sea, with amazing views of Mediterranean Sea you just need to follow Tarragona’s main road, Rambla Nova, which is a typical avenue in every city in Cataluña. Yes, you know it from Barcelona, too. The beach you see from the Balcón del Mediterráneo is Playa del Milagro, Beach of Miracles. Imagine, a long wide golden sandy beach in the middle of the city! Just beautiful. Almost every evening after work I went to the beach and I couldn’t imagine of a better way to relax after a long work day. The only down side is the view of the industrial harbour at the end of the beach. 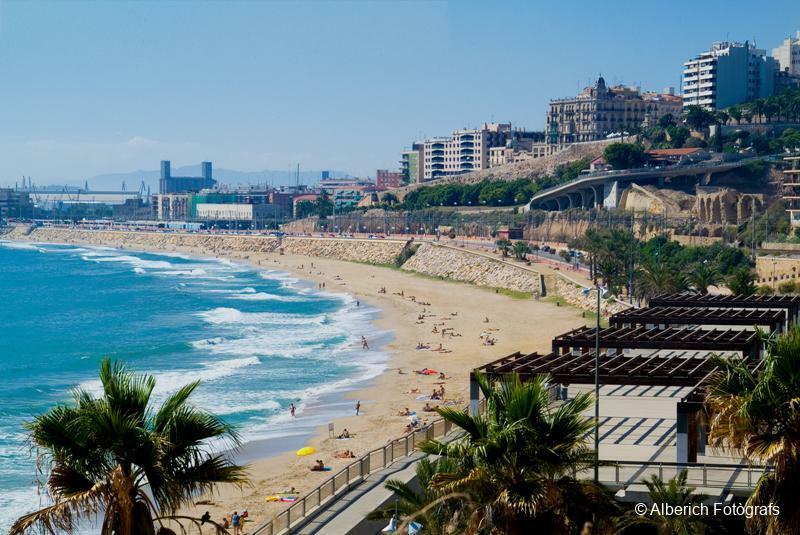 Tarragona has a 15 km coastline and is gateway to Costa Daurada (Golden Coast in Catalan language) and there are of course many other amazing beaches around. El Serrallo is the old fishing village of Tarragona and it is like completely another world. As I walked down the promenade along all the fish restaurants I really thought I landed in another part of Spain. I’m telling you it is the perfect place to spend a relaxed afternoon. The whole summer I was in Tarragona I had the feeling they celebrated every week another festival. But the Santa Tecla Festival in September was something special. The festival is 10 days long and everyday there was music, dances, night parades with costumes, and a lot more. It felt like the whole city didn’t sleep for 10 days. One of the highlights is the “Human Towers” which is a tradition in Cataluña. Teams of castellers (climbers) stand on each other’s shoulders to build towers up to nine levels high. At the end a child climbs to the top and then the whole tower of humans disassembles. There is even a Monument of Castellers in Rambla Nova. Another highlight is of course all the colourful costumes with huge heads representing mythological beasts, the good and the bad from mediaeval time. Honestly, I’ve never needed to use bus or car and anything similar. 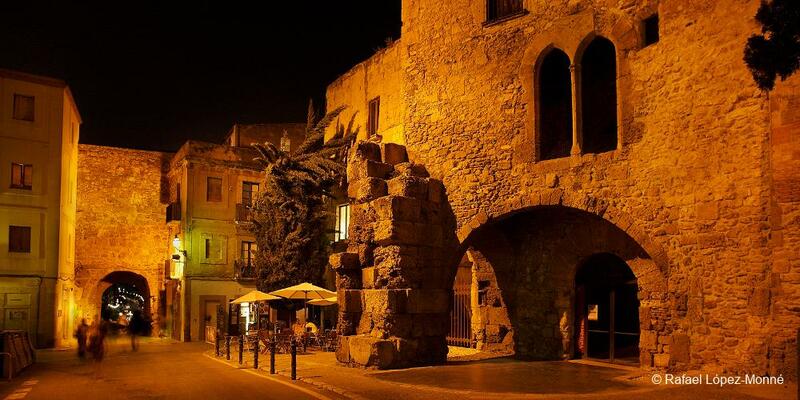 This is what is comfortable about Tarragona, that you can walk to almost everywhere in the city. But, yes of course there is a city bus line. Reus airport is 7 km away from Tarragona, frequently used by low-cost airlines. The airport bus from Reus Airport to Tarragona Bus Station takes about 20 minutes. From Barcelona the bus drive takes almost 2 hours. From the train station in the city centre, near beach, (I lived 5 minutes away from it 😍) you can take regional trains to Barcelona (1,5 hours / ~8€), Reus, Tortosa, and Lleida, as well as national and internal long-distance trains to Valencia, Andalusia, Madrid and France. The bus station is at the other end of Rambla Nova and international bus companies such as Eurolines and domestic companies such as Alsa depart from here to almost every direction. Bus to Barcelona costs about ~9€ and the drive takes about 1,5 hours. What to pack specially for Tarragona? For more insights from real pros I recommend Lonely Planet's Travel Guide for Spain. For price worthy accommodation check Booking.com or Agoda.com. I highly reccomend all of the above activities, most of which I was lucky enough to experience first hand. Tarragona and the surrounding area is a wonderful place for sightseeing whether you are after impressive beaches, ancient ruins or Salvador Dali’s home town. Unfortunately I personally didn’t get a chance to do everything I wanted, but there was never a dull moment during my stay and so many things left on my list of things to do, including checking the theme park, Port Aventura which is just a short drive away. Thanks for sharing your experiences. Tarragona is a beautiful city indeed.